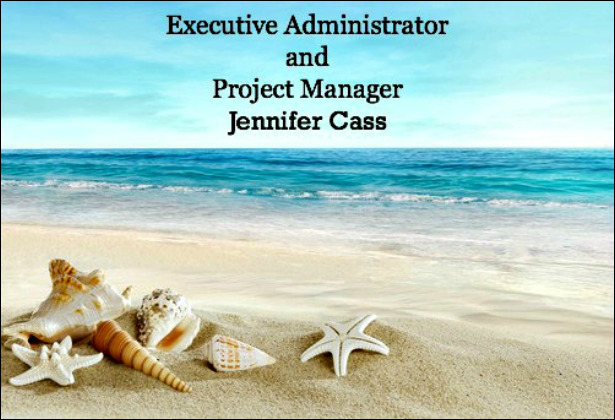 Jennifer Cass is a Virtual Executive Assistant. She perfected her skills working with Presidents and their teams, facilitating team building, calendar management, travel coordination, business systems, and office organization. Jennifer studied Project Management, Communication Skills, Business and Professional Writing, Facilitation, and Organizational Development at UCSC Extension Silicon Valley. She is passionate about providing high-level services to entrepreneurs, small businesses, associations, and non-profits to free up their time to focus on their business instead of in their business! Read full bio here.